Singer- songwriter, poet and artist Patti Smith is to give a special benefit performance in Haworth in support of the Brontë Parsonage Museum, on Friday 19 April 2013. Patti Smith is an admirer of the Brontë sisters and visited the Parsonage last year during a visit to the UK. Following her visit, Patti decided to return to Yorkshire to play a series of intimate concerts in Brontë country. Her performance in Haworth will raise profile and funds for the Brontë Parsonage Museum, and will take place as part of the Museum’s contemporary arts programme. “We’re delighted that Patti Smith is supporting the Museum and will host this special performance in Haworth. It is yet another example of the ways in which the Brontës’ extraordinary legacy influences all aspects of contemporary culture. This will be a remarkable evening in a tiny venue very close to the Parsonage – we are expecting a huge response and I’m sure tickets will be snapped up very quickly indeed”. ‘An evening of Words and Music with Patti Smith and Tony Shanahan’ will take place at the Old Schoolroom in Haworth (originally built by Patrick Brontë in 1832) at 8pm on Friday 19 April. Tickets are £25 and can be booked from the Brontë Parsonage Museum: jenna.holmes@bronte.org.uk / 01535 640188. January 2013 will see the first major redecoration scheme in 25 years for Haworth Parsonage, once home to the world’s most famous literary family, the Brontës, and now one of the UK’s top tourist attractions. Using historical and scientific analysis produced by academics at the University of Lincoln, and referencing contemporary sources including watercolours and letters by the Brontës, the Parsonage will undergo a major interior visual transformation led by historic interior design consultant Allyson McDermott of the McDermott Studio, Forest of Dean. The house will be restored to looking much as it did during the main period of the Brontë family’s occupation in the 1830s and 40s but will also include features introduced by Charlotte as part of her facelift for the house during the early 1850s when she began to spend some of the income she had earned from her novels Jane Eyre, Shirley and Villette in making the Parsonage more comfortable. “This is one of the most exciting projects to take place at the Parsonage in many years and is the culmination of a two year research project. There have been attempts in the past to present the Parsonage as the Brontës’ home, but no serious archaeological work has ever been carried out before. The new rigorous historical research and scientific analysis resulting from this project has informed bespoke wallpapers, new curtains and painstakingly woven rugs. Objects from the Brontë Society collections will be displayed for the first time in this new context and familiar works will be reinterpreted. The rooms of the house are going to be transformed and may well surprise our visitors”. Quote from Ann Dinsdale, Collections Manager, Brontë Parsonage Museum. Quote from new Executive Director, Professor Ann Sumner: “I am delighted to be taking up my new role at this exciting time and see the re-decoration taking shape. We now know so much more about how the Parsonage was presented when the Brontë family lived here and are pleased to be working with Allyson McDermott, benefitting from her wealth of experience restoring historic interiors. The newly refurbished rooms will enormously enhance the visitor experience at the Parsonage Museum and have inspired a wealth of learning events and an exhibition in 2013”. Quote from Sally McDonald, Chairman, The Brontë Society Council: “When the Trustees of the Brontë Society agreed this landmark re-decoration it set in motion a singular opportunity to learn more about the Brontës and their home. We are delighted that when the Parsonage reopens its door on February 9th we will be sharing more of that wonderful story with our members and our visitors”. The newly refurbished Parsonage will reopen on Saturday 9th February featuring some exciting new displays. The project has cost in the region of £60,000. 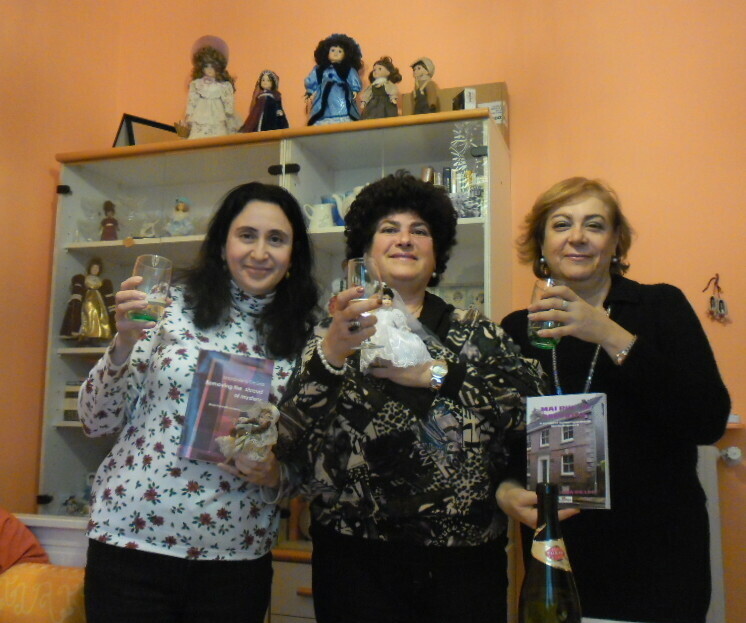 On 29 December 2012 Professor Maddalena De Leo from Italy with BS members Caterina Lerro and Elisa Fierro met in Naples to mark and enjoy a very special day: the two hundredth anniversary of Maria and Patrick Brontë’s wedding. While celebrations of the event were taking place at midday at Haworth in the Brontë Parsonage Museum, at about the same hour the three Italian scholars raised a toast to the Brontë sisters’ parents. During the meeting Professor De Leo also read aloud some moving extracts from the novel about Maria’s life Removing the shroud of mystery originally written by her in Italian and recently published in English to mark the important event. 'Visions of Angria' at the Stanley and Audrey Burton Gallery is celebrating the world of the Brontës in the new year. However, the Gallery is not the only one to remember the four siblings from Haworth this season. Fans of the Brontës and Yorkshire's rich literary heritage have a lot to look forward to in January: two art exhibitions, a talk and a one-day conference are bringing the creativity of the Brontës into the limelight by presenting rare archival material and modern artistic responses in literature and popular culture. The special display will present rarely seen manuscripts of Branwell Brontë from the University Library's Special Collections, alongside original illustrations. Providing Branwell's rich world of landscapes, characters and events with unique visualisations, Leeds College of Art students will bring these fantastic tales to life. This is a special opportunity to see the interplay between original manuscripts and their contemporary 're-visions'. The Gallery is open from Monday - Saturday, 10am-5pm and admission is free. The exhibition brings together the work of a wide range of artists who have been influenced by the Brontës. Wuthering Heights, Jane Eyre, The Tenant of Wildfell Hall; these are just some of the works produced by the Brontës which have an enduring and universal appeal. The inspirational legacy of the Brontë family can be seen in a wide variety of contemporary creativity. This exhibition is a unique opportunity to see, in one place, the work of a number of emerging and established artists, all of whom cite the Brontës as a source of continuing inspiration for their own creative practice. The conference addresses ways in which the legacy of the Brontës is exerting an influence in a range of creative fields, and across a variety of media. 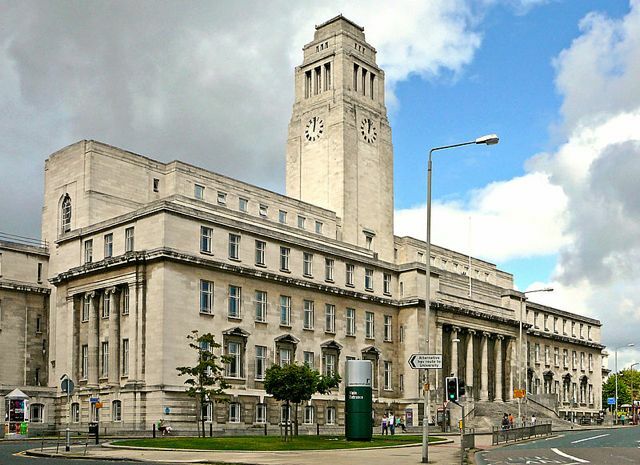 Letters, stories and manuscripts written by the Bronte family, and now held in the University of Leeds Library Special Collections give a unique insight into their lives and work. Find out what these items tell us about the secret history of the family, and how they inform our understanding of their lives today - from Charlotte's honeymoon, to Branwell's complete disintegration.